Various kinds of Japanese sweets, such as anko (sweet bean jam) and warabi-mochi (like jelly of warabi bracken), are stuffed in a wooden measure 'masu'. 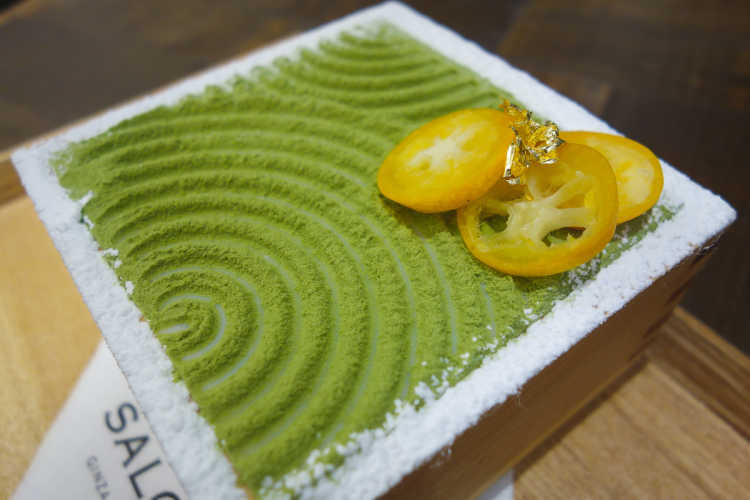 And on the white chocolate, there's a Japanese garden drawn by maccha powder. 'Sabou Parfait' makes you excited by various textures and beautiful appearance.◎Sabou Parfait 1100yen. I like Kuromitsu (brown sugar syrup) topping! It was bigger than I expected!